Sole/Ride/Drop: The Streak LT 3 is an overhaul upgrade in many ways. Gone is the softer forefoot and in its place is a prominent, wide, firm forefoot. It is very reminiscent of the forefoot plates in track spikes but no actual plate is located in the forefoot. There is a TPU shank in the midfoot but I have not really noticed it. The small lugs on the forefoot give excellent traction on a variety of surfaces, especially track and dirt. 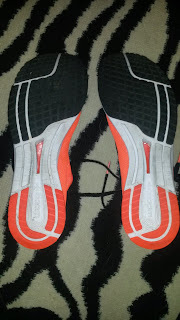 The forefoot is very firm while the heel is a bit softer due to the zoom unit located there. 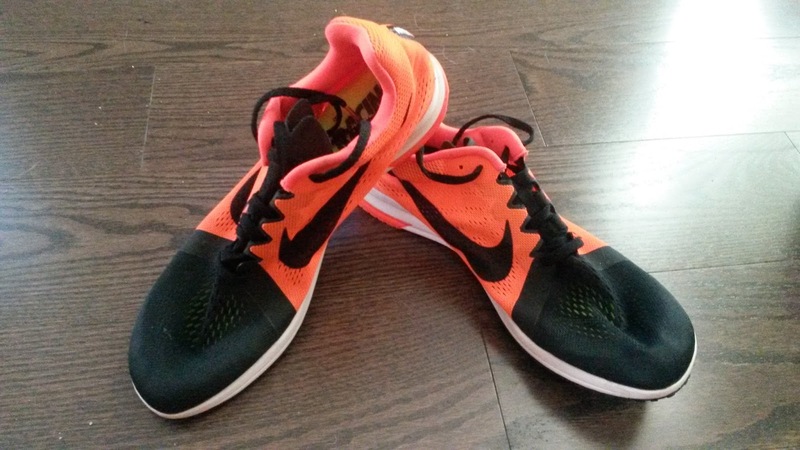 The overall ride of the shoe is firmer and more responsive due how firm the forefoot is. Due to the wider design of the forefoot, it is stable, but the increased firmness borders on being a bit harsh. This has changed a bit as the shoe has broken in, but it contributes to the reason why I am more comfortable using this shoe on soft surfaces or track compared to road. This shoe works much better running fast as the firmness is a bit of a turn off while running slow. However, those who are used to minimal shoes will not be deterred by the ride. 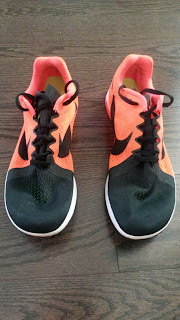 While the forefoot is firm on landing, it is smooth on toe off due to Nike decoupling the forefoot, which adds to flexibility and smooths out the ride. There is some toe spring, but it is minimal and does not seem to affect the ride of the LT 3 too much. The drop is listed at 4mm but feels lower due to the softer heel. To me it feels 0-2mm which is one of the reasons the shoe feels like a track spike without spikes. So those of you with very tight calves may have some trouble. The prominent forefoot makes landing there feel best with this shoe although your footstrike will vary depending on what you are comfortable with and many other biomechanical factors that we will not get into here. 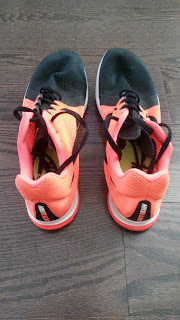 I am very impressed by the durability of this shoe given the quality of design and shoe type (lightweight racing shoes don't tend to last long). I am not seeing much wear anywhere on the outsole after a race, multiple hard workouts and even hiking on technical terrain. Very impressed with LT 3 given the price point and wish more companies would keep their racing flats cheaper since you are getting less shoe! Fit/Feel/Upper: The Streak LT 3 has a new upper with an airy mesh in the forefoot and a slightly thicker mesh in the midfoot and rearfoot. There is an archband in the midfoot that does help hold the shoe well but can dig into the lateral midfoot if the laces are tied too tight. The upper is not quite as soft as the LT 2 but can still be worn sockless and is comfortable. I have worn this shoe for many sockless miles and have not had any issues. The LT 3 does not have a heel counter and those with sensitive calcanei will do very well in this shoe. The lack of heel structure in the upper is compensated for by a high riding heel tab that hugs the posterior ankle well. The heel tab does have a split to allow room for the achilles tendon. I am very happy about this since most racing shoes seem to be eliminating the heel tab split. Other than the archband the upper is unstructured, simple and comfortable. The forefoot in general is much more square and anatomic than the previous version. 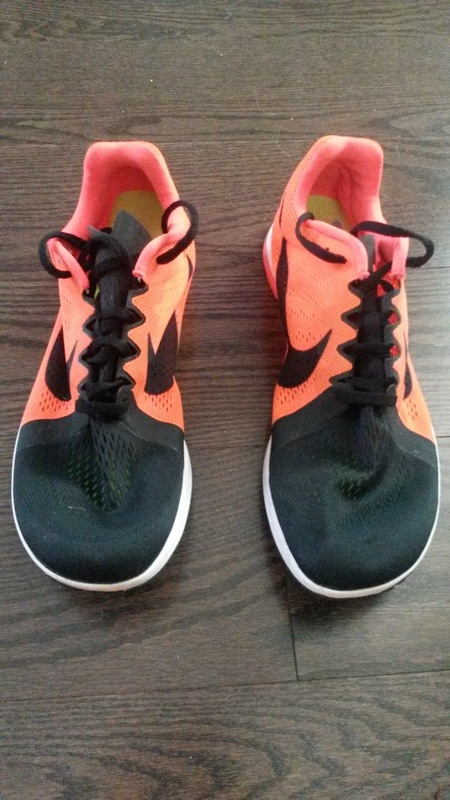 The forefoot fit is great and does not squeeze my toes. 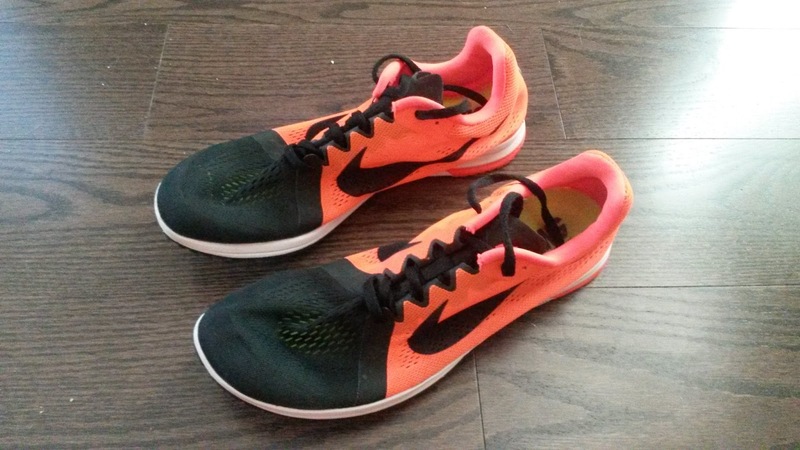 The shoe does run narrow due to being a racing flat, so those with wide feet may want to look elsewhere. I have seen recommendations to go a half size up in this shoe and I completely disagree. If anything the shoe fits true to size or slightly long. I would go with your normal size for the Streak LT 3. Weight/Responsiveness: The Streak LT 3 is listed at 5.3 ounces which is typical for a 5k-10k racing flat. As I mentioned earlier, this is a great shoe for track or XC given the great traction in the forefoot and firmer ride. On the road the forefoot tends to feel harsh initially upon landing but has broken in with more miles. I have used this shoe for a road race (1st Place Overall), many workouts (mostly tempos or intervals) and a few short easy runs. The workouts have been on the track and the LT 3 really feels like a track spike without the spikes given how the forefoot rides. The LT 3 is still a do-it-all shoe, but definitely works better as a XC/Track shoe or a good early season pre-track spike shoe to prepare your legs. Thoughts as a DPT (Student): I am very impressed with some of the things Nike has done with this shoe biomechanically. The LT 3 is definitely more stable than previous versions due to the increased surface area/wider outsole, especially in the forefoot. The shoe still has a cut out midfoot, but it is less pronounced than previous version and is made up for by the wide forefoot sole. With the added firmness in the front of the shoe, the forefoot is very stable and you will not have a problem with our foot rolling off the sole from there unless you have extreme biomechanical deficiencies (which you should probably see someone about). I do wish the forefoot was a little less firm. While increased shoe density does make the sole more stable, if it is too firm runners will tend to slow down because they have to focus more on attenuating forces than producing them. That is why I disliked the Mizuno Wave Universe 5. Too much of the shoe was taken out, leading to it being a bare bones shoe without any cushioning. So instead of having a sole to give you some rebound while still being very light, you are basically running barefoot on the harsh road. Many minimalist runners used the argument that the elite Kenyan/Ethiopian runners would run faster if they ran barefoot due to reduced weight. However, running in general is a balance between producing force and trying to protect the body from being damaged by it. Slower runners tend to focus only on attenuating forces, while elite runners are better at using it to their advantage to propel them forward. 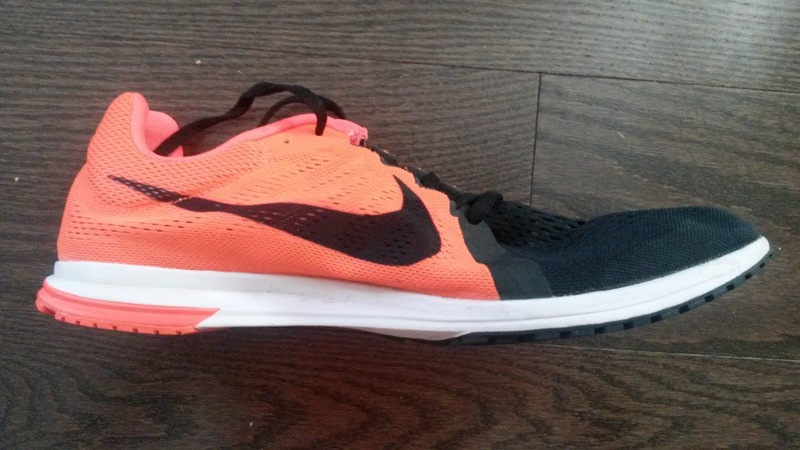 Too firm of a ride in a shoe will force anyone to shift from propulsion to attenuation. On the other side of the spectrum, a shoe that is too soft will force the runner to shift from propulsion to trying to find stability. A softer surface is inherently more unstable and thus the runner will have to focus on finding stability to protect their body from abnormal forces at injurious angles. Thus any long distance racing shoe has to be balanced between providing protection but not being too soft or heavy to slow down the runner. Hence why the shoes of choice for the marathon among elite runners tend to not be the most bare bone models (and yes others will argue that these athletes are being forced to wear certain shoes due to company requirements. I can't comment on that). Each person will differ in what they can handle over these distances due to how well they can attenuate the higher forces of running while still producing force to push themselves forward. Some can handle something like the Streak LT series for the marathon. Others will need highly cushioned trainers. Everyone is different! Conclusion: The LT 3 is a great upgrade from previous versions. In my opinion, it is now a much firmer riding, fast mile to 10k shoe (although some will be able to use it for much longer distances. I would not). While the Streak LT 3 is still a do it all shoe, in my opinion it will work best on the track, light trail and XC courses. That combined with the $80 price tag and great durability make this shoe a great one that is well worth a look if you are looking for a lightweight racer. These shoes were a provided for their full retail price. I put at least 75 miles on every pair of shoes before I review them (except racing flats which I put on at least 25 miles). Currently I have 31 miles on my pair.